If you happen to be a big time android fan or an android freak, then one of the most important things to do if you want to take full advantage of the android OS is to root your your Phone. One of the things Nexus users loved most about the phone is how easy it was to actually unlock the bootloader and root the phone. 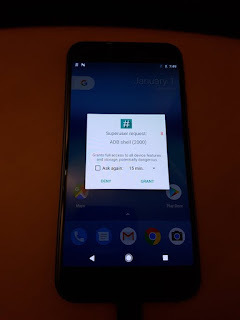 When Google unveiled the pixel smartphone which happens to be the successor of the Nexus line, one of the major question a lot of people asked is if it was going to be possible to root the phone and Google confirmed that rooting the phone will be very easy but the big question is how easy?. Now there is a good news for all those who have already gotten the pixel smartphone or are planning to do so as chain fire who happens to be a very popular android developer has taken to Twitter to announce that he has successfully rooted the pixel smartphone. 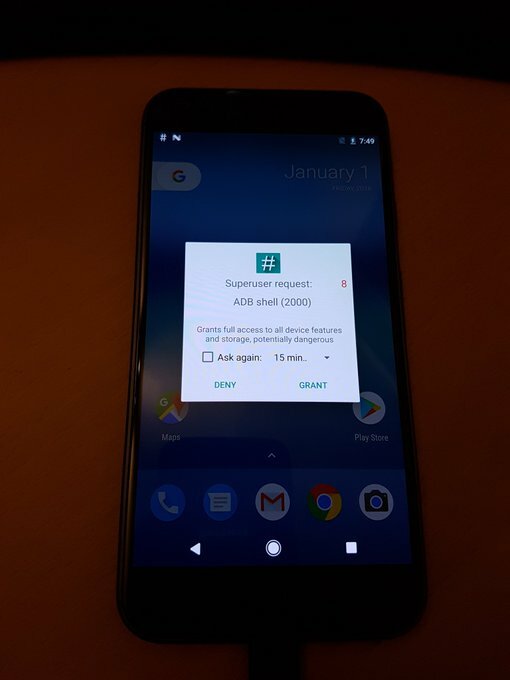 He even went further to post a picture of Superuser request showing on the home screen of his Pixel. But while this might be a good news, it actually comes with a twist. "The purpose of dm-verity is to implement a device mapper target capable of validating the data blocks contained in a filesystem against a list of cryptographic hash values. If the hash for a specific block does not come out as expected, the module assumes that the device has been tampered with and causes the access attempt to fail." But all hope isn't lost as chain fire is still currently working on a way to root the device without having to disable DM-verity.